iPhone 5S vs iPhone SE, Whats the Difference? The iPhone SE was recently launched by Apple, the handset is Apple’s replacement for the iPhone 5S and if you were wondering what the difference between the two handsets is, we have all the details on the iPhone 5S vs iPhone SE. The two handsets share a very similar design, they almost look identical from the outside apart from the color options, inside the two handsets there are significant differences. You can see a list of the key specifications of the new iPhone SE and also the iPhone 5S in the table below, this is a quick reference to show the two handsets side by side, more detailed information on both handsets is available below. Both the iPhone 5S and iPhone SE are equipped with a 4 inch display, each handset has the same resolution of 1136 x 640 pixels, this is one of the hardware features that Apple did not change, the rest of the hardware got some upgrades. We suspect that Apple did not increase the resolution of the handset in order to keep the cost of the device as low as possible. The display on the iPhone 5S and SE is pretty good for the 4 inch screen size, it comes with a pixel density of 326 pixels per inch and has a contrast ratio of 800:1. Apple’s iPhone 5S is powered by the Apple A7 processor and also the M7 coprocessor, this was introduced in 2013 with the launch of the 5S. The new iPhone SE is equipped with the Apple A9 processor and their M9 coprocessor, these are the same processors that are in the latest iPhone 6S and 6S Plus, this should bring some significant performance improvements to the new iPhone SE over the iPhone 5S. Initial benchmarks have suggested that the iPhone SE is a very powerful handset, the device actually achieved higher scores than the iPhone 6S and 6S Plus in some tests. The reason for the higher score is probably because the handset has a smaller display with less pixels to power, this means than the processor can achieve a higher score than the 6S and 6S Plus. The iPhone 5S comes with 1GB of RAM and the iPhone SE comes with 2GB, this should also give the new handset improved performance over the 5S. For storage the new iPhone SE comes with two options 16GB and 64GB, the older 5S has three storage options 16GB, 32GB and 64GB. Apple’s iPhone 5S featured an 8 megapixel iSight camera with 1.5µ pixels and an f/2.2 aperture, it can record Full High Definition video in 1080p at 30 fps. The new iPhone SE comes with a 12-megapixel iSight camera with 1.22µ pixels and an f/2.2 aperture, it can record Ultra HD 4K videos at 3840 x 2160 pixels at 30 fps, it can also record 1080p video at 30 fps or 60 fps. Both handsets are capable of taking Panorama photos, the iPhone 5S can take 43 megapixel Panorama’s and the iPhone SE 63 megapixel Panorama’s. The two handsets feature a 1.2 megapixel front facing Apple FaceTime camera which is capable of 720p video. The new camera in the iPhone SE is a significant upgrade over the camera in the 5S, this could be a good reason to upgrade if the camera and photography is high on the list of your priorities for an iPhone. The camera is the same one that is used in the iPhone 6S and 6S Plus. The iPhone Se is equipped with a 1642 mAh battery, this is larger than the 1560 mAh battery in the iPhone 5S, the handset also comes with Bluetooth 4.2 whilst the 5S features Bluetooth 4.0. Both handsets comes with 4G LTE, 802.11 a/b/g/n/ac WiFi and they both use the same fingerprint sensor for Apple’s TouchID, one feature that the new iPhone SE gets over the iPhone 5S is Apple Pay, this allows you to make payments in retail store and also in apps using Apple’s mobile payment system, this could be one reason why many people will want to upgrade from the 5S to the new SE. 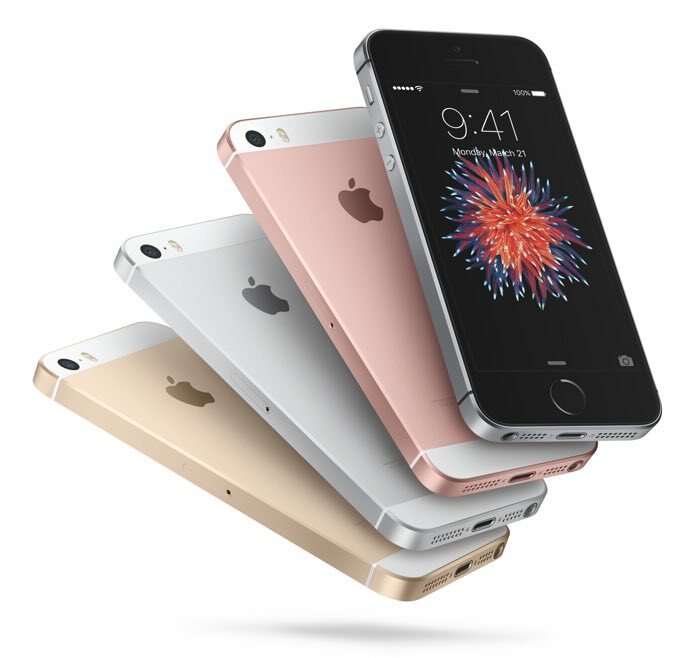 The iPhone 5S is available in three colors, Gold, Silver and Space Grey, the new iPhone SE comes in a choice of four colors, there is also a Rose Gold color options as well as the three color options of the 5S. Is it worth upgrading to the iPhone SE from the iPhone 5S? 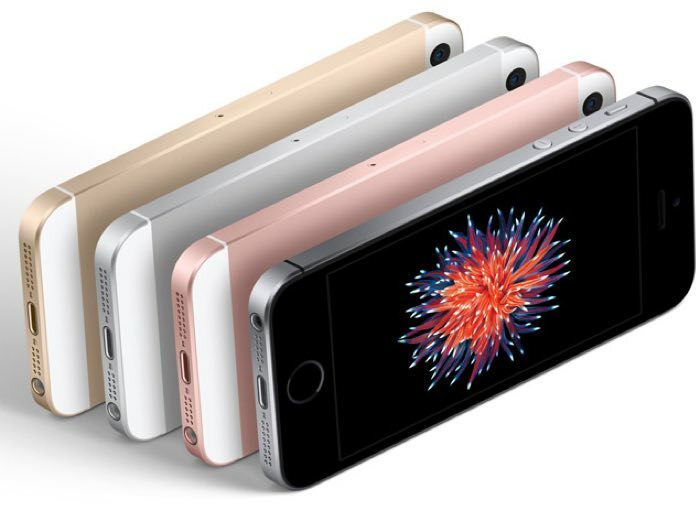 Apple’s new iPhone SE comes with some impressive hardware inside, the handset features many of the hardware of the iPhone 6S in a smaller package, although the design of the handset will be familiar to many as it is very similar to the iPhone 5S. Prices for the new iPhone SE start at $399 for the 16GB model and $499 for the 64GB model, the handsets is available with the four major mobile carriers in the US on various contracts, this include T-Mobile, Sprint, AT&T and Verizon Wireless. If you are looking for a new iPhone and don’t want a larger 4.7 inch or 5.5 inch display and also don’t want to pay $649 for the iPhone 6S or $749 for the 6S Plus then Apple’s new 4 inch iPhone SE could be worth looking at, it comes with the same processing power of the iPhone 6S and also the same camera in a smaller package for a lower price. The handset is also great for new iPhone users who are looking to get an entry level iPhone without paying the higher cost of the iPhone 6S or 6S Plus. We suspect that the new iPhone SE will end up being a very popular handset for Apple and it could convince many iPhone 5S users to upgrade. The SE comes with a familiar design with many of the hardware features and the performance of the iPhone 6S and 6S Plus, you can find out more information about the handset over at Apple’s website.